For everyone that isn’t into phones featuring large screens, Sony’s Xperia X Compact with its 4.6-inch size might be the ultimate choice to opt-out. Especially now that the handset received a major price cut. Exclusively for the US, Sony will be retailing the Xperia X Compact for $150 less, dropping the price from $499.99 to an outstanding amount of just $349.99. This deal is available at BestBuy and Amazon. The Xperia X Compact has its best feature a 23MP predictive hybrid autofocus camera with 5-time digital zoom, 5-axis stabilization, and LED flash for full HD video recording. The main camera of Xperia X Compact might be the best camera featured on a 4.6-inch mobile phone. For selfies, the handset packs another FHD camera but this time a 5MP unit with selfie effects. Sony’s 4.6-incher handset introduced in September of 2016 features a touchscreen display of 1280 x 720 pixels, but as the phone has a relatively small display size, it can be considered as an FHD screen. What powers its performance is a Qualcomm Snapdragon 650 chipset with 3GB of RAM, 32GB of flash memory, and the Android 7.0 Nougat. The internal memory can be expanded via a microSD card up to 256GB. A compact phone with no limits regarding memory expansion. Xperia X Compact launched alongside Xperia XZ hi-end flagship powered by Snapdragon 820 and at the time it looked like a low-end option to it. But in reality, the handset packs some hi-end features and supports of its own. Such as NFC support, Quick Charge technology, or the above-mentioned large expandable memory. 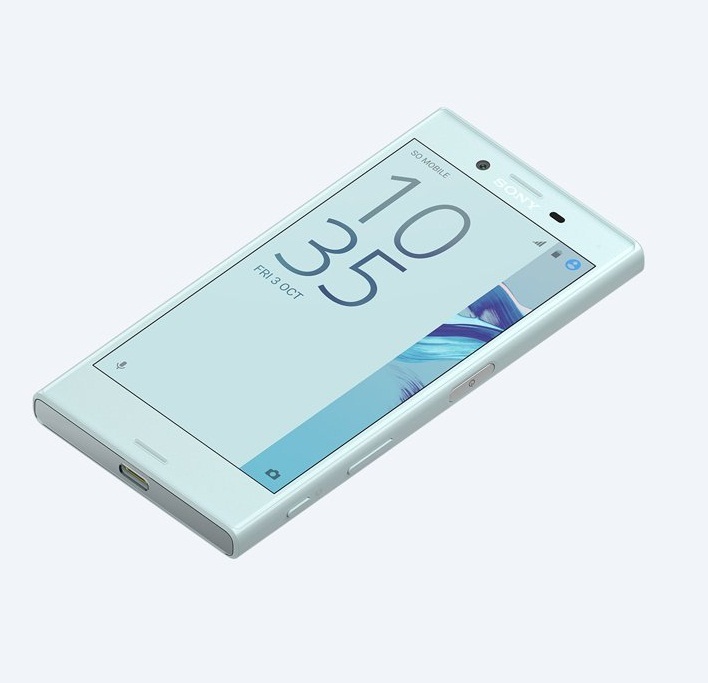 You can expect the top-notch connectivity supports housed by Sony’s 4.6-inch classy mobile phone. Features like 4G LTE, dual-band WiFi, Bluetooth 4.2, and GPS. The handset gets powered by a 2,700 mAh battery and weighs just 135 grams (thanks to its glass design body).